Situated in Kurashiki, this hotel is steps from Setonaikai National Park, Canal Area (Bikan Historical Quarter), and Kibi Plain. Kurashiki Story Museum and Ohara Museum of Art are also within 5 minutes. Okayama Kurashiki Station is 17 minutes by foot. Situated in Okayama, this spa hotel is within 1 mi (2 km) of Aeon Mall Okayama, Oriental Museum, and Okayama Prefectural Museum of Art. Hayashibara Museum of Art and Okayama Castle are also within 2 mi (3 km). Okayama Station is 14 minutes by foot. 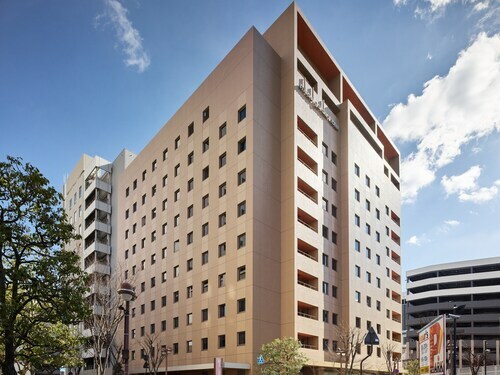 Located in the heart of Okayama, this hotel is within 1 mi (2 km) of Aeon Mall Okayama and Momotaro Arena. Okayama Castle and Korakuen Garden are also within 2 mi (3 km). Okayama Station is 11 minutes by foot. Situated in Kurashiki, this spa hotel is steps from Setonaikai National Park, Canal Area (Bikan Historical Quarter), and Kibi Plain. Mitsui Outlet Park Kurashiki and Ario Mall Kurashiki are also within 10 minutes. Okayama Kurashiki Station is 8 minutes by foot. How Much is a Hotel Room in Soja? Hotels in Soja start at $42 per night. Prices and availability subject to change. Additional terms may apply. As there are currently no Travelocity-listed Soja options nearby, we offer 10 places to rest and relax that are situated within an easy drive from Soja. The nearest Travelocity accommodation is the Okayama Royal Hotel, Kinki, which lies 13 miles (20 kilometers) from the heart of downtown Soja. 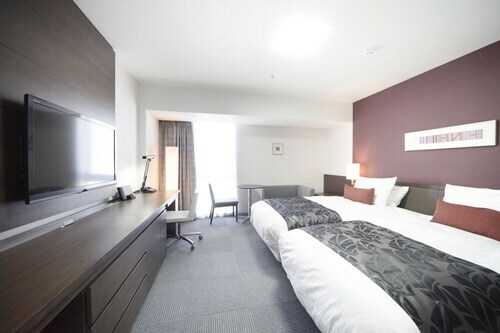 Or alternatively, why don't you consider the Kurashiki Royal Art Hotel, located in Osaka, which is 8 miles (13 kilometers) from the town center. 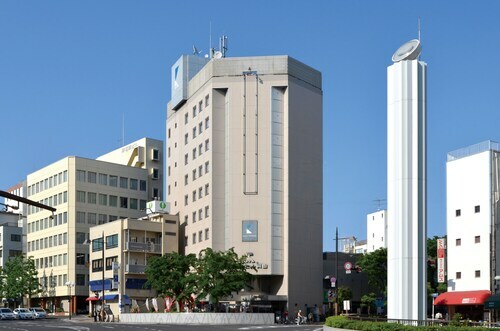 The Hotel Granvia Okayama is 13 miles (20 kilometers) away from the town center of Soja. Another hotel is the Diamond Setouchi Marine Hotel, which can be found approximately 20 miles (33 kilometers) away. 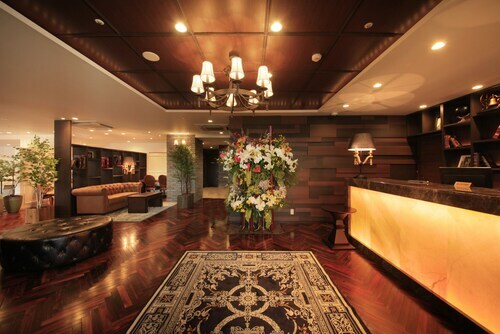 Other possible hotels are the Daiwa Roynet Hotel Okayama-Ekimae and the Okayama Koraku Hotel. Making plans to go a little bit out of the center? Chugoku lays claim to a number of attractions worth seeing. Chugoku is home to beaches and coastal plains, and popular visitor places of interest are ruins, castles and old towns. Common things to do in this particular part of Japan include snowboarding and skiing. The closest hotels in Okayama include Tsukubo and Kojima Jeans Street. Tsukubo is 9 miles (15 kilometers) to the southeast of Soja, while Kojima Jeans Street is 17 miles (28 kilometers) to the southeast. Tsukubo Travelocity-registered places to stay are the Hotel Fine Garden Okayama 2 - Adults Only and Vessel Hotel Kurashiki. The Washu Highland Hotel and Setouchi Kojima Hotel Kurashiki are some of the Travelocity-registered hotels in Kojima Jeans Street. If sport if on your list of things to do, don't overlook a visit to Kanko Stadium, which is situated 12 miles (20 kilometers) to the east of Soja. 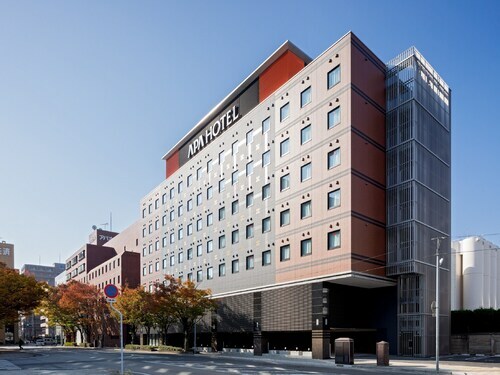 Travelocity readers who enjoy the convenience of booking a bed close to the game, make a reservation in the Hotel Excel Okayama or ANA Crowne Plaza Okayama. Soja boasts some interesting things to look at; discover more with our up-to-date Soja accommodation and travel guide. Wonderful hotel, very clean with good facilities like most Dormy Inns, great views. However my room had no bath or shower. I was enjoying the public bath so much I didn't actually notice this until the second night of my stay! Presumably not all the rooms are like this as otherwise the public bath would get too crowded. It wasn't really much of an inconvenience, and I'm sure it was stated in the description; but worth mentioning. extremely convenient location. even if it is raining, one can walk to the hotel inside all the way, and go shopping likewise. good view from the window, courteous staff, good food. only thing that could be improved is the lobby. it should have more chairs. This was my 2nd time staying at the Richmind. Great service, staff very helpful, rooms clean & everything I needed was there to use, even a pants press. Bathrooms are furnished on a daily basis with pkg'd. toothbrush, paste, razor, & comb. Fresh robes (takata), slippers & towels daily as well. Vreakfast buffet served daily for 1000 yen. Location is perfect. It is a 3 min walk to bus & train station. Grocery store in lower level of bldg. Tenmaya store across the street. Great hotel. See the title. Small room but sufficient. Excellent housekeeping staff. Public hot baths were a plus after a long day of walking about Okayama. Outside of a pizza delivery option (the instructions were in Japanese and I was too tired to ask the staff for help), there was no room service option. 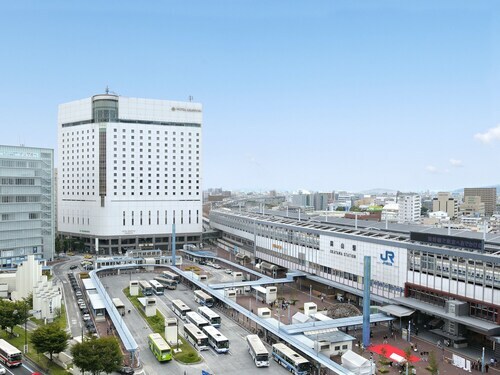 However, this particular hotel was across the street from Aeon Mall and an enormous, two level food court and Seven-11 was right around the corner, about two hundred feet from the entrance to the hotel. And the train station was two minutes walk. Ideal location. And quiet. The end. The hotel was in a nice location close to the castle, garden and pedestrian arcade street which had many dining options. The train station was an easy walk or easier tram ride away. Room was typically compact, but we were given a corner room with massage chair and view of the castle. Breakfast was a good value, with ample choices.